IAMBRIGITTE : Cooking with Brigitte: Ginataang Hipon with Kalabasa at Sitaw.. 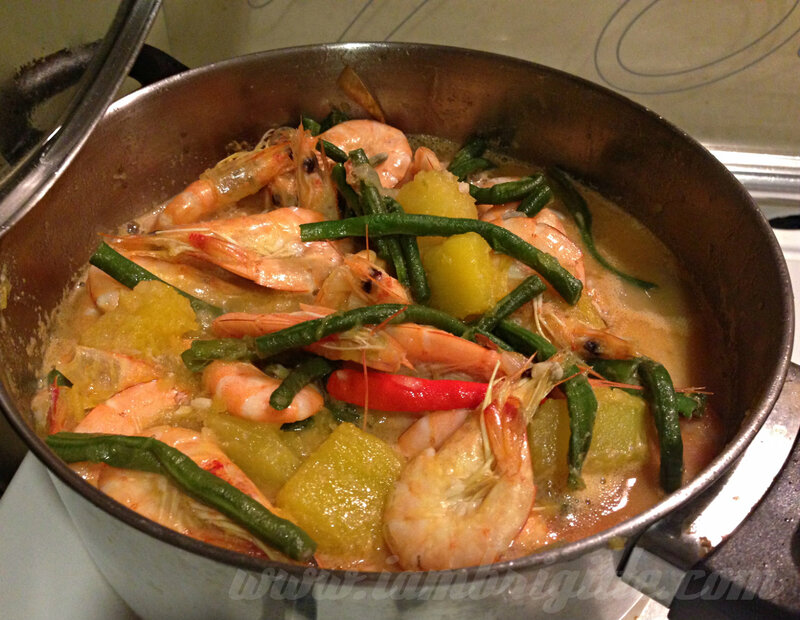 Cooking with Brigitte: Ginataang Hipon with Kalabasa at Sitaw..
First, here's a disclaimer…I know how to cook. I'm not gonna say I'm a good cook like my Mama Wheng and my Lolo (who are amazing cooks, really!) but I do know how. Well, at least I know a couple of dishes aside from just frying. I remember doing the cooking for the family when I graduated from high school and didn't go straight to college. Now, that's a looong story to tell and maybe I'd tell you about that on a separate post. But all I want to say now is that I'm not new to cooking. For someone who loves to eat, I guess it's almost mandatory that you also know how to cook. But when I started living on my own and with my crazy schedule, I'd rather sleep or grab something ready to eat than to whip up a meal of my own. Besides, I don't think it's practical to be cook when you're living alone. Unless of course, it's fine with you to eat the same thing for days. Anyway, when I moved here in Dubai, I know I'd be back to cooking. I've seen the hubby eating canned food almost everyday when we Skype so I told myself that I'm gonna spoil him with home cooked meals when I get here. Now, notice I didn't say "good" ha. I just said home cooked. LOL! 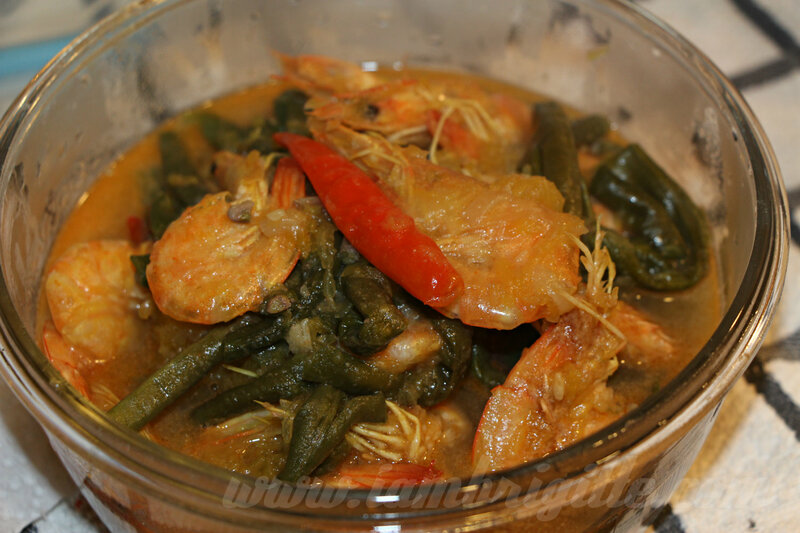 I've done a lot of cooking since I got here and for today, I'm gonna share with you one that has been my favourite even back in PH..the Ginataang Hipon with Kalabasa and Sitaw. I'm just so lucky that the hubby isn't a picky eater, as he happily eats whatever I serve him. So usually, I cook what I want to eat. It's no use asking him what he wants to eat. He'll just say, "kahit ano, Mahal." So fine, ako ang masusunod. 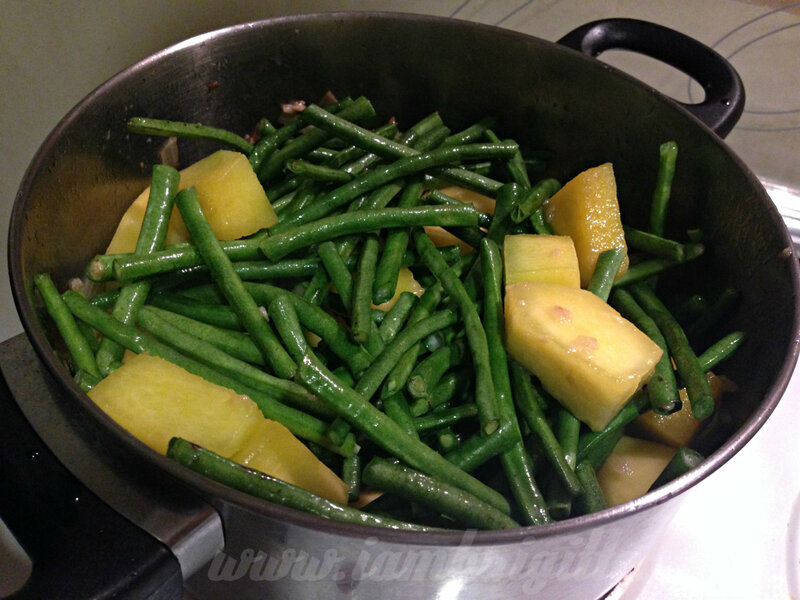 As for the length of the string beans, my Lolo told me that it should not exceed the size of the spoon. Not the entire spoon ha, just the part that you put into your mouth. (laughs) For the kalabasa, they are supposed to be cubed but you can do whatever shape as long as the size is just big enough to be broken into smaller bits with a few bites. 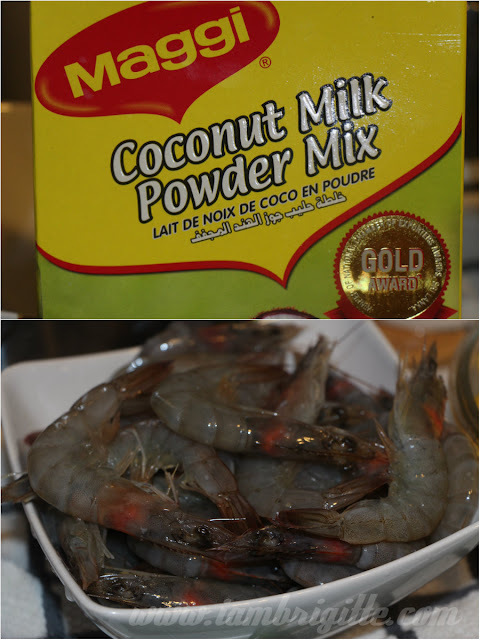 It's hard to find fresh coconut milk here in Dubai so I opted to go for the powdered coconut mix. I just mixed 2 tbsps of the powder with a cup of water. 1. 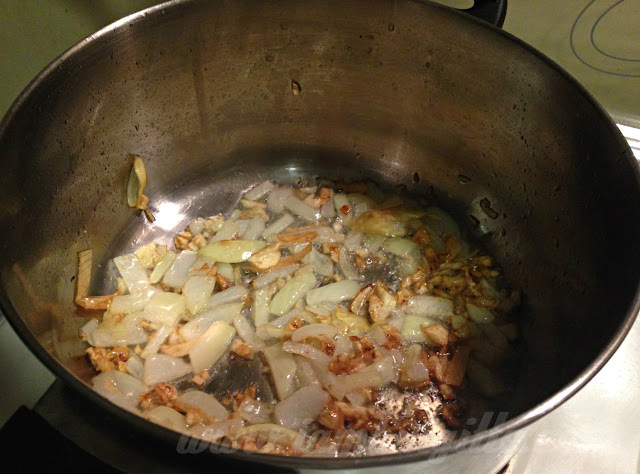 Saute the garlic first, and when already brown, add the onions. 3. 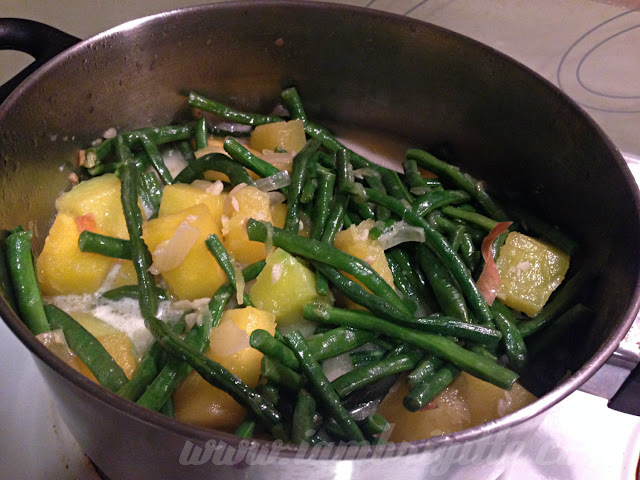 When the Kalabasa becomes a little soft, add the string beans and sauté everything. 4. You can add some powdered pepper, if you want. I love pepper! 5. 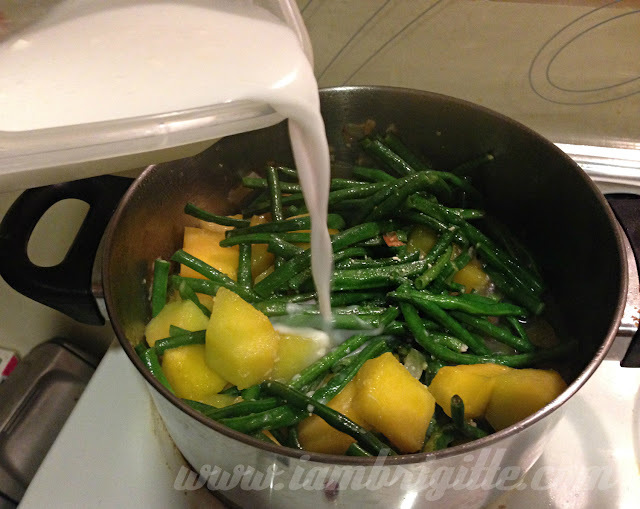 Add the powdered coconut milk and a tbsp (or two) of patis. You can add more if you think it needs more flavour. 7. 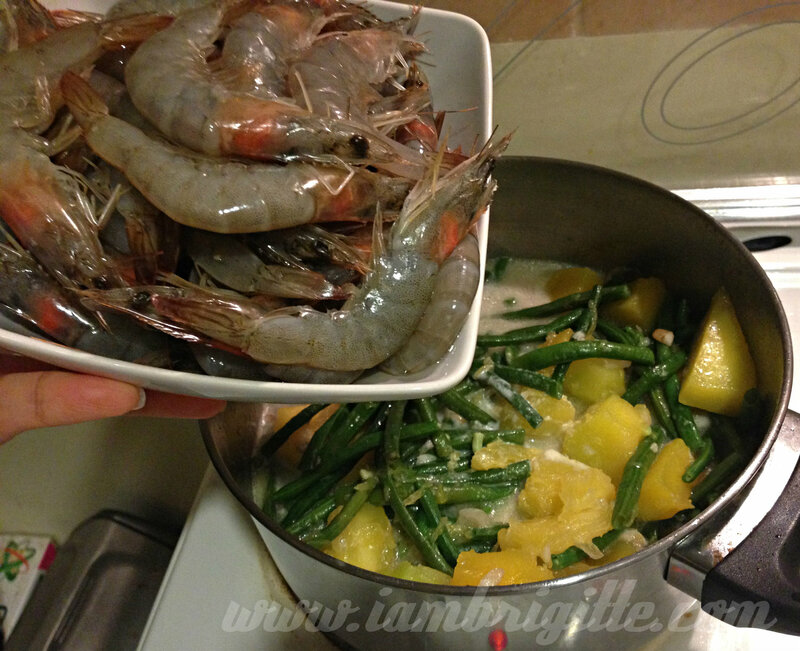 Add the shrimps then stir. Cover the pan. 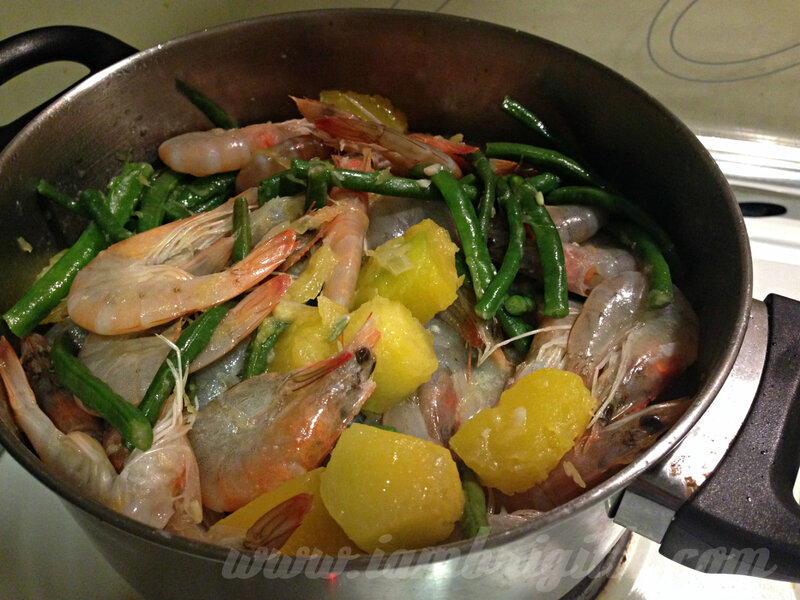 At this point, I realized I have too much shrimps…or perhaps, I just need a bigger pan! 8. Let it simmer for 5-10 minutes or until everything is cooked. It would be a lot better if you don't overcook the veggies. 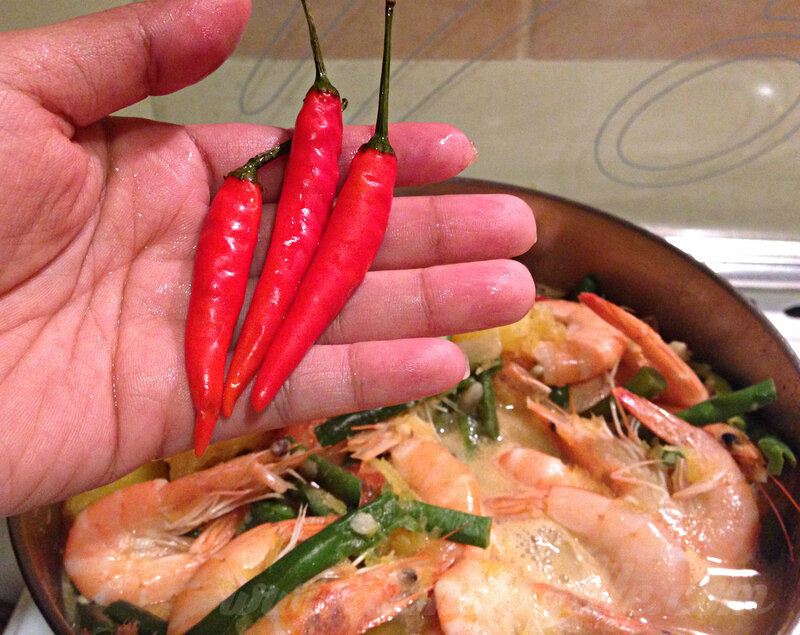 Once the shrimps change to colour orange, that means they are already cooked. You can also add some chilis for an extra kick of spice. 9. 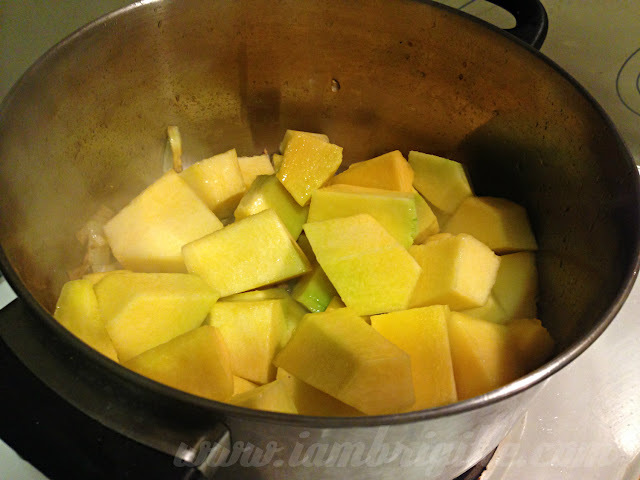 Simmer for another minute or two then remove from heat. Serve with steamed rice and enjoy. I was a bit hesitant to use the powdered coconut milk because I'm used to seeing the fresh coconut milk in cooking but it turned out to be just the same. Of course, it's a lot better (and healthier) to use fresh but if you don't have access to it then this powdered version is okay. There's canned coconut milk too, and I've actually tried it already but I prefer using the powder. So there you go. 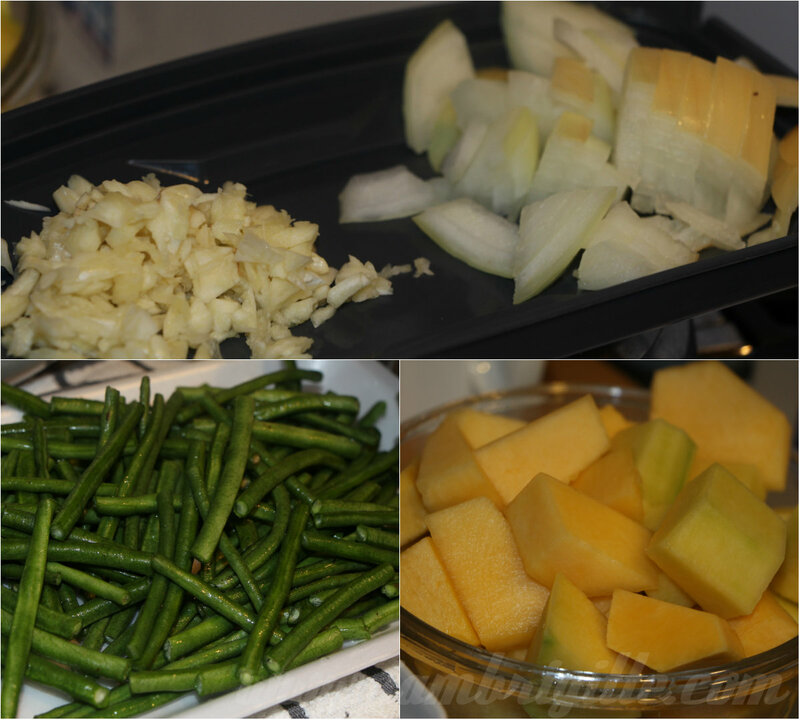 I'm not in any way trying to be an online cook guru here for I also get recipes online. I just want to show you how I do the dishes I've been posting in my Instagram. I'm open to suggestions too, as always, so feel free to suggest an easier way of doing these things.